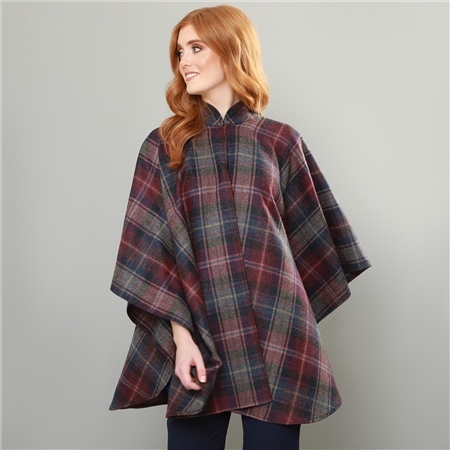 A luxury one piece Donegal tweed cape. The fabric is a burgundy, blue & pink check, designed and woven in our mill in Donegal, Ireland. Style with the navy Fahan stretch trousers and white silk Darcy top. Grey Eske Donegal Tweed Cape.